Crypto is an open, rapidly-evolving financial instrument that is largely unregulated, with a history of hacker abuse and big investor losses. That doesn’t mean you shouldn’t buy crypto, it just means that you must take steps to make sure your coins are safe if you do. Where you store your coins is a key factor in keeping your coins safe, and hardware wallets offer excellent protection. Read on to see why hardware wallets provide safe crypto storage and for a closer look at three popular wallets. Just like any other asset, including physical cash or cash held in a bank account, cryptocurrencies require some type of storage. But is it safe to leave your coins with an exchange? The frequency with which exchanges are hacked would suggest otherwise. Storing your coins in a wallet adds an additional layer of protection. A hardware wallet is a physical device that stores your private key. To store coins in a hardware wallet or to access your coins, you have to connect your hardware wallet to your PC. If you keep your hardware wallet disconnected, your coins are not within reach of hackers. A disconnected hardware wallet is also known as cold storage. Hardware wallets offer a compromise: just like paper wallets your key is stored offline and therefore at arm’s length from hackers, but unlike paper wallets you can easily access your coins by simply plugging in your hardware wallet. However, compared to a software wallet, a hardware wallet is less vulnerable to hacker intrusion. You may just need a basic wallet, but for some crypto investors, a more advanced wallet will be safer or simply more convenient. With so many good hardware wallets on the market, switching to one could seem like an obvious choice. The main benefit of hardware wallets is improved security. However, your choice of wallet (if any) will depend mainly on how you trade crypto, and how much crypto you hold. If you hold coins with a large fiat currency value over long periods you should seriously consider a hardware wallet to protect your valuable assets. But if you frequently trade cryptocurrency as a speculator, you might find that hardware wallets are simply not worth the hassle. In short, yes. In March 2018 a 15 year old hacked the Ledger Nano S using what’s called a supply chain attack. In other words, the hacker proved it is possible to get access to a user’s coins by modifying the device before it is shipped to the user. McAfee’s Bifi wallet has also, allegedly, been hacked. Though hardware wallets can be hacked, it is worth bearing in mind that hacking attacks require effort. The payoff for hacking an individual’s personal wallet is far lower than the payoff behind an exchange hack. Yes, your hardware wallet can be hacked, but with great difficulty and there is little motivation to do so. Of course, this is all assuming that you purchase a hardware wallet from a reputable vendor. Crypto users have plenty of choices when it comes to hardware wallets. In this section we’ll briefly outline your options. In the next section, we’ll take an in-depth look at three of the most popular crypto wallets currently on the market. Which hardware wallets are the most popular? Three manufacturers stand out for offering a solid mix of features, security and good value. TREZOR. Satoshi Labs is the developer behind the TREZOR wallet. The TREZOR wallet includes protection by means of a PIN and includes a basic display, plus physical buttons you can use to confirm a transaction. TREZOR Model T. With the model T, TREZOR adds a color display, a couple of other features plus double verification of all transactions. For many users, the larger display will be a big ease-of-use advantage. KeepKey. A relative stalwart in the hardware wallet scene, KeepKey has been around since 2015. KeepKey features an OLED screen and a 12-digit recovery passphrase. Ledger Nano S. One of the more affordable devices on the market, the compact Nano S includes an OLED display and physical buttons that you need to press to verify transactions. It’s simple but effective. Ledger Blue. Just like TREZOR, Ledger offers a more advanced hardware wallet called the Ledge Blue. You get a 3.5” color touchscreen, Bluetooth connectivity and two-factor authentication (2FA) too. On the other hand, Ledger Blue is comparatively more expensive. Case. Unlike other hardware wallets, you don’t need a computer or phone to use Case. This wallet comes with a cellular radio built-in including the ability to use the cellphone network in 100+ countries to make bitcoin transactions free of charge. CoolWallet. CoolWallet is shaped like a credit card, features an on-screen balance display and is said to be waterproof. Digital BitBox: Sometimes simplicity is just the best option. You get no buttons or screen on the tiny BitBox, but it comes with solid security features including 2FA and a secondary password that offers access to a hidden wallet. OpenDime: Do you want to be able to hand over cryptocurrency as easily as you hand over cash? OpenDime is a “disposable” wallet that works with any USB port. You can load a disposable OpenDime wallet with bitcoin and simply hand it over to another party. CryoBit Cryo Card. Just about equivalent to a paper wallet, the Cryo Card is a credit-card shaped piece of metal which carries your wallet address and private key in an engraved form. Crypto enthusiasts will know Satoshi Labs as the company that produced the Slush Pool, the first crypto mining tool, as well as Coinmap, the cryptocurrency directory. TREZOR is the original Satoshi Labs hardware wallet. 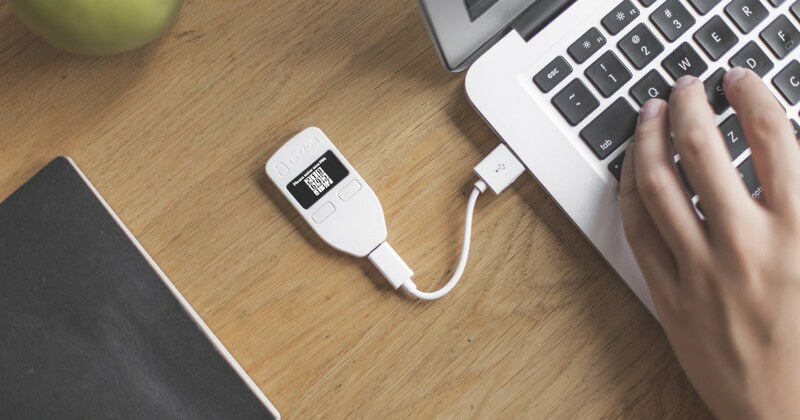 The TREZOR Model T offers additional features at a higher price. support for over 500 coins (thanks to ERC20 support) including all the important ones like Bitcoin, Litecoin, Zcash, Ethereum, etc. The screen on the TREZOR is small, but you can see everything you need to see to complete a transaction. You get physical buttons to approve transactions, but nothing else. There is an advantage to this simplicity: with no other software features, the TREZOR is less vulnerable to hacking attempts. 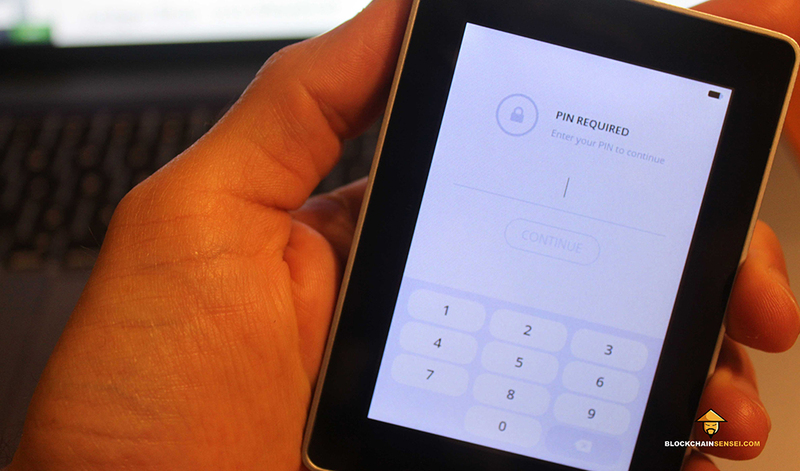 TREZOR offers a PIN password barrier. Enter the PIN incorrectly and you are forced to wait before you can try again. Each time you enter the PIN incorrectly the time you have to wait is doubled. There is also a 24-word recovery phrase you can use if you lose your PIN. Some users might criticize the PIN for being overly complicated. Overall the entry-level TREZOR is a capable hardware wallet at an attractive price. The fact that the TREZOR is backed by an experienced crypto team that is responsive to its customers keeps the TREZOR at the top of the hardware wallet list year-in, year-out. The top-notch security features of Keepkey makes it worth a second look. When communicating, with your PC the KeepKey uses a very limited protocol that never exposes your private keys. Your KeepKey ships in tamper-evident packaging and the manufacturer also adds a device seal which will show any evidence of tampering. Just like the TREZOR, the KeepKey limits PIN retries, extending the wait period between each attempt. Though bigger, the KeepKey is quite sleek and easy to use. Many people like the premium build quality. Some users complain that setup can be a bit of a pain, in part because you cannot save setup progress mid-way – you must complete the entire setup process in one go. In the past, KeepKey has been slower to deliver support for new coins and feature upgrades, compared to other wallet manufacturers. On the other hand the bigger screen accommodates more information compared to the TREZOR. This will be a plus for many people. Need more than just basic hardware wallet features? The Ledger Blue is a wallet that does it all. You’ll spot the snazzy touch-enabled color display straight away. Here lies access to the more advanced features of Ledger Blue. You get the usual security features and the Ledger blue adds hack-resistant two-factor authentication. Interestingly, the Ledger Blue has anti-tamper circuitry. The device checks internal integrity and reports any evidence of tampering. If you can put up with the bigger size (and higher price) of the Ledger Blue, you may well find the large touchscreen to be an excellent way to manage coins in your hardware wallet. Note that the Ledge Blue can store up to 11 different coins simultaneously, making it a good choice if you have multiple crypto holdings but want just one device. For others, some of the simpler, cheaper wallet choices like the TREZOR could be a better option. Also, consider that the more advanced software on the Ledger Blue may be more prone to hacking, while the physical bulk of the Ledger Blue may not appeal to everyone. One of your options is to store your coins in a software wallet. This could be software on your desktop PC, a mobile phone app or even an online software wallet that you can access using any device. Software wallets offer improved security over exchanges. A personal software wallet on a PC is unlikely to be a target for a determined hacker. In comparison, wallets crypto exchanges are honeypots that are attractive targets. Your software wallet can also ensure continued access to your coins, whereas an exchange may experience unexpected downtime. An offline exchange leaves you out of luck if you quickly need to pay with or transfer your coins. Software wallets suffer from some of the same vulnerabilities as exchanges. If the device containing the software wallet is connected to the internet, it is vulnerable to malware. Malware-based attacks could lead to a hacked software wallet (while online wallets can, of course, be attractive to hackers). Next, the code in software wallets can be exploited – again leading to stolen coins. 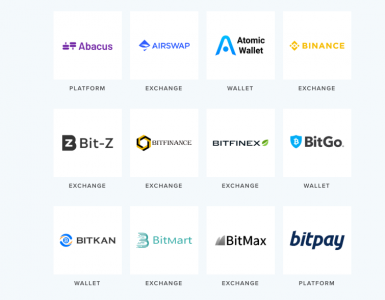 Note that for some of the small-cap coins a software wallet may be your only alternative: niche coins often have their own wallets proprietary to that coin because no other wallet supports the coin. 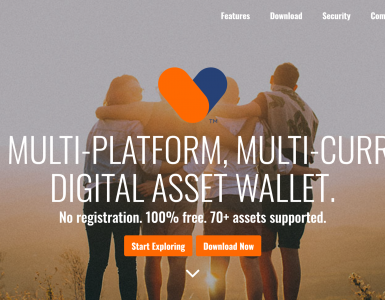 The wallet could be a desktop wallet, or an online wallet. However, for popular coins such as BTC or ETH you can plenty of software wallets. Cryptocoins are always located on the blockchain– the data store that keeps track of who owns how much of a cryptocurrency. What’s stored in a wallet is just the access key that gives you the permission to use your crypto holdings. This access key consists of a public key (which you use when someone else sends cryptocurrency to you) and a private key (which you use when withdrawing or sending currency). A paper wallet is simply a physical print-out of your public and private keys. Without physical access to the paper wallet, a hacker cannot steal your coins. In this sense, a paper wallet provides an extremely high level of protection against the loss of your cryptocurrency. Paper wallets are also easy to use for storage purposes and is typically free too – it won’t cost you anything to use a paper wallet. In the absence of a backup losing a paper wallet means losing access to your coins. There is another issue in that paper wallets are cumbersome. Want to make a crypto payment? You need to find a piece of paper and copy the key. Paper wallets are not as convenient as desktop and online wallets. Martin has been writing on personal finance for many years. With a technical background and strong interest in finance and investment Martin is well-placed to help you make sense of the cryptocurrency world. 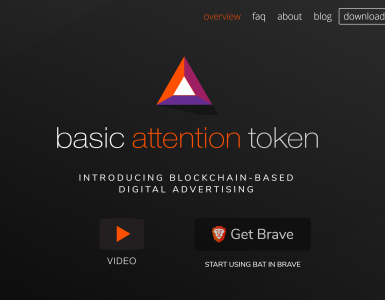 The minds behind BAT (Basic Attention Token) are some of the same ones that brought us Mozilla Firefox and Netscape. Read this to learn how to buy BAT. There are more cryptocurrency wallets to choose from than ever before, but not all of them are good choices. Read this to learn everything you need to know.